Dill has had to wrestle with vipers his whole life—at home, as the only son of a Pentecostal minister who urges him to handle poisonous rattlesnakes, and at school, where he faces down bullies who target him for his father’s extreme faith and very public fall from grace. The only antidote to all this venom is his friendship with fellow outcasts Travis and Lydia. But as they are starting their senior year, Dill feels the coils of his future tightening around him. The end of high school will lead to new beginnings for Lydia, whose edgy fashion blog is her ticket out of their rural Tennessee town. And Travis is happy wherever he is thanks to his obsession with the epic book series Bloodfall and the fangirl who may be turning his harsh reality into real-life fantasy. Dill’s only escapes are his music and his secret feelings for Lydia—neither of which he is brave enough to share. Graduation feels more like an ending to Dill than a beginning. But even before then, he must cope with another ending—one that will rock his life to the core. I believe I did the whole read the author's book in reverse order from release date (hides face). But at least I read it, right? That is the whole point? Yes. No. Maybe. Oh well! I have finally say down and read through the entirety of this book and quite truthfully I am not sure how I am able to type this review right now. upset with the characters. He allows the reader to smile on one page but cry the next. He allows the reader to feel what it is like to feel real. To feel human. The Serpent King follows three characters, Dill, Travis and Lydia. All unique and complex in their own ways. Dill living with his mom and a tarnished name due to the mistakes of his father. Travis, living with him mom and drunken father. And Lydia living with her mom and dad and having almost everything a teen would want in life. Three people. Three stories. One unlikely friendship. I found it very difficult to fall in love with one specific character since there was attributes I both liked and disliked with all the characters. And I think that is what made me fall in love with all three of them even more. No one is perfect. Perfection is something overrated that people try to pass off but soon find out that some flaws are not worth being ashamed of. Dill has this past he must overcome to finally muster up the courage to put his parents remarks to the side and find his own path in life. Travis will find that even having the simplest of lives can prove to be the ones filled with the most magic. Lydia will know that stardom can only take you so far in hiding the real you. I will say that there were many moments I cried throughout this story and I think it just felt so real. I cannot tell you the last time I became invested in characters like these before. I can't remember the last time where I called my friend who was thankful reading the same book and talk to her about these characters. I don't remember sitting here writing about it now, where a tear falls freely down my face. Jeff Zentner writes so eloquently. A story that read so simple but was filled with such complexity. I was captivated with every page and the story is one I will remember years from now. I do not know if I would have the same impact if I had read this book at its release date but I am glad that I finally took the time to read this book. If you are looking for a story that will make you feel free than look no further than here. 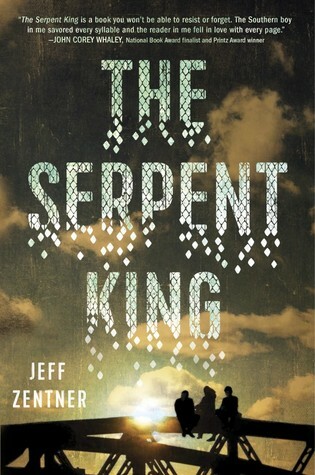 A beautiful semi-tragic story The Serpent King is the book to read.